Ambergris Caye, Belize, March 9, 2016	(Newswire.com) - The majority of islands around the world have their definite beauty hidden from the public, most of these said islands are ready explore like the breathtaking beauty of Blackadore Caye. This is a small wild island in Belize located to the west of Ambergris Caye in the western Caribbean Sea and is actually near the Belize Barrier Reef. Positioned to the west of Ambergris Caye, the island is provided with great protection that helps in keeping the surrounding water peaceful and calm. With Belize’s renowned abundance of dive sites, Blackadore Caye is one of the islands that inherits some of the best reef and marine life in the country. The shores of Blackadore Caye lead to clear shallow water making it a great spot for fishing and snorkeling. Although the island is not populated, the public has hugely benefited from fishing on its surrounding waters. Aside from fishing, some marine activities can be held on Blackadore such as Kayaking, Windsurfing, snorkeling and Sailing making it a popular destination for travelers and tourists, seeking for an island adventure. Leonardo appreciates the island’s hidden treasure when he went for a scuba diving trip in Belize in 2005. As he embraces everything about the place, he in instantly decided to purchase it with his pal Jeff Gram for a ravishing $1.75Million Dollars. 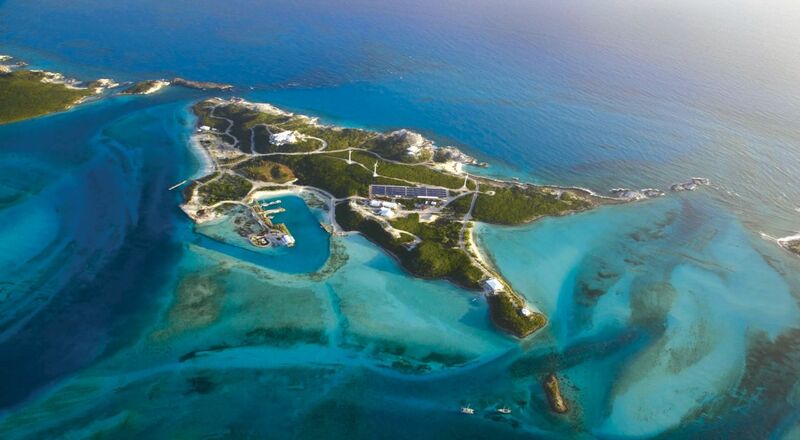 As a well-known environmental advocate, DiCaprio is planning to heal the island of Blackadore Caye. As he stated that the island “was like heaven on earth.” He and his partner have all means to restore the beauty of the place so that by 2018 they can introduce the “Blackadore Caye, a Restorative Island” eco-resort. To do so, Leonardo commissioned Jason McLennan a sustainable enthusiast and architect in designing a 68 villa eco resort on the private lands of Blackadore Caye. The design of the resort feature arcs of floating suits that are built above the sea beds with a network of artificial reefs and fish shelters along with a 48 millionaire villas and a native plant nursery mainly focused on manatee conservation. In general, the eco-resort will have the following features paraphernalia of well-known luxury resorts with villas, infinity pool and the islands stunning sunset views. As DiCaprio’s plan of restoring the island Is in motion, the public should plan their visit to Blackadore Caye, with the fact that they have a great chance of seeing Leo in person they can also witness the preservation and restoration of the island's former beauty.